This delicious cake is fully iced in white to the bottom tier and black to the top tier. Both tiers are surrounded in a funky black ribbon with white polka dots to both bases, decorated with black and white icing circles throughout the the whole cake. 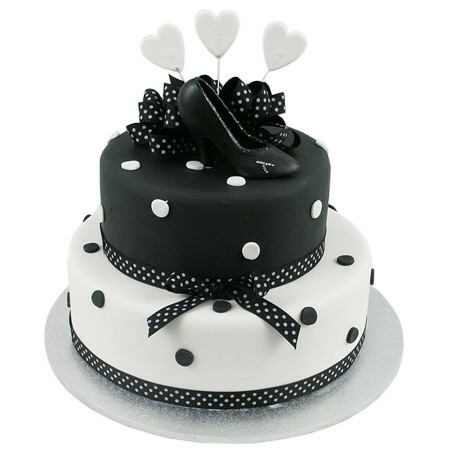 It is finished with a parcel bow, three white sugar hearts and a black porcelain shoe to the top tier of cake.